Florida is a great state with many attractive features. From the Florida Panhandle to the Florida Keys, it is filled with stunning natural wonders, fascinating history, local legends and more. With so much attention on larger cities like Orlando, Tampa, and Miami, many of the smaller parts of Florida don't get the attention they deserve. 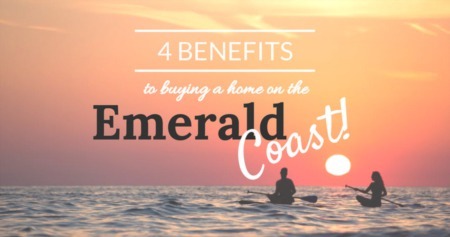 Once known as the Miracle Strip, the Emerald Coast is one such underappreciated areas. We're here to change that. The Emerald Coast is a stretch of coastline in northwest Florida along the Gulf of Mexico. 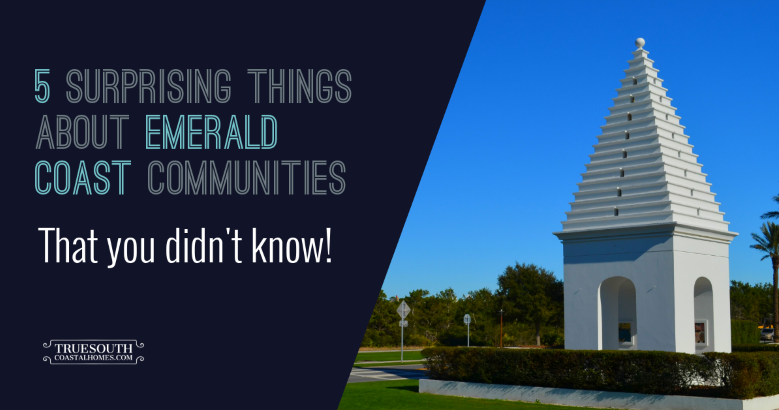 Here are five surprising things about Emerald Coast communities you may not have known. The city of Niceville is so unassuming that even lifelong Floridians haven't heard of it. According to many sources, Niceville is one of the best-kept secrets in the state. It's not just the low cost of living (96 percent on the Living Index) or the fantastic weather. Niceville has received multiple accolades for being awesome. The city of around 115,000 people was declared the "Best Place to Live in Florida" by SmartTravel.tips and the "Best Place to Raise Kids in Florida" by Bloomberg Businessweek. It's also noted for being extremely safe. The website niche.com named it "One of Florida's Safest Places to Raise a Family," Movoto.com listed it as "One of the Safest Places in Florida" and the National Council for Home Safety has Niceville as "One of the 100 Safest Cities in Florida". The beautiful beaches are one of the many reasons that people seek to buy a home or property on the Emerald Coast. The beaches on the Emerald Coast have distinct sand that is a bright white color. This sand creates beautiful "snow white" beaches that are unique to this area of Florida and rare around the world. The cause of this coastline coloration is quartz crystal. Quartz crystals in the Appalachian Mountains are eroded by flows of water, which reach the Apalachicola River and are eventually deposited throughout the Emerald Coast. The stunning landscapes of the Emerald Coast can give the impression of unchanging, natural beauty, but looks can be deceiving. Residents of the Emerald Coast city of Destin probably wouldn't recognize the area on a map in the not so distant past. Destin, FL, which is located on the peninsula in between the Choctawhatchee Bay and the Gulf of Mexico, was once a barrier island. The island became a peninsula as hurricanes changed the landscape over time. The sand is only one part of the equation for why beaches in Northwest Florida are so famous. The waters of the Emerald Coast have a beautiful jewel-toned hue that gave the region its name. Like the sand, the extraordinary beauty of the Emerald Coast beaches is due to natural processes. Sediment from the Mississippi River creates a delta at the mouth of the Gulf of Mexico. This region of residue acts as a filter for the muddy waters coming from the Mississippi River. The sediment tapers off the farther away from the mouth of the Mississippi you go, and the water that remains is crystal clear. The emerald color is the result of light refraction on the large body of clear water. Whatever the cause, the waters of the Emerald Coast are an ever-present reminder of the beauty of nature. Naturally, you can’t eat every plant you see in Alys Beach. However, the city has put a lot of effort into creating several sections of Alys Beach where there are edible plants that residents can pick and use in their kitchens. For example, you can find mints and lemons alongside a section of the pedestrian path that is appropriately known as Mojito Alley. In a similar vein, The Daiquiri Garden has strawberries and bananas. And to prove it’s not all about cocktails, The Soup Garden has Thyme, Chives, Basil and Oregano. There are even four different species of blueberries growing along Lake Marilyn! It’s a colorful and delicious way to make Alys Beach a great place to live. If you’re looking for a home on the Emerald Coast, TrueSouthCoastalHomes.com can help. You can use the search tool on our website to find homes that meet your needs. Send us a message online if you have any questions about moving to one of the many communities on the Emerald Coast. Kim is a licensed Florida REALTOR® with Amerivest Realty and specializes in coastal communities on Florida's Emerald Coast from Destin and Niceville to 30A and Inlet Beach.